Jared Leto has done it all in his 44. With his brother, he formed an alternative rock band that sold 15 million albums all around the world. He built a fascinating career in Hollywood and got worldwide fame thanks to a motley crew of charismatic characters. For the most part of his acting career, Leto played supporting roles and portrayed weirdos in the best sense of the word. But it was his hallmark that smashed his way to success. Now he is one of the most demanded actors with an Oscar and a Golden Globe awards under his belt and a bunch of upcoming projects, including the sequel of Blade Runner and the Andy Warhol biopic. But we are not going to discuss his career. 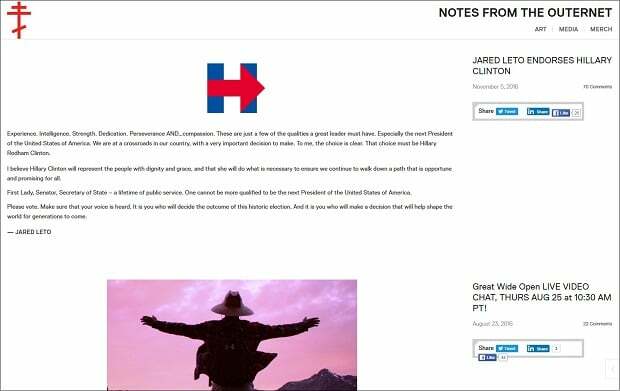 Jared has also an official website. So why not to inspect it briefly? 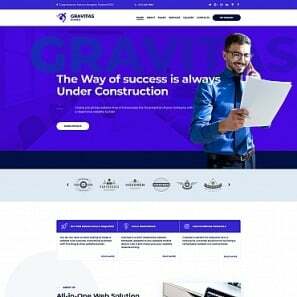 Aside from the post that echoes the most notorious event of recent days, you can also notice that the website is developed according to the top trends of today’s web design. It is absolutely minimalistic, responsive and have a simple menu bar that is sticky. 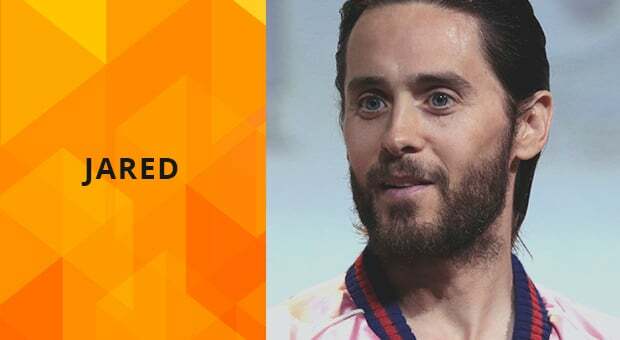 Jared Leto official website is a feed with miscellaneous articles that include Jared’s thoughts on different topics, his interviews and a bunch of alluring content you can see for yourself. Hugs for everyone! There is also a Merch page, where a true fan can get originally branded stuff. Talking more of fans, the MotoCMS team highly appreciates the talents of Jared. 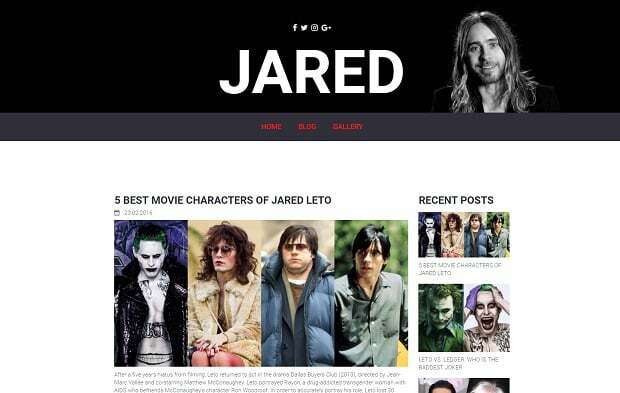 So we decided to make a little contribution and share with you our own version of a Jared Leto fan website. Why? Because we know how. If you are going to build an online fan community for your favorite celebrity, read this post till the end and you will get to know how to create an awesome fan website asap without being an expert in website building. 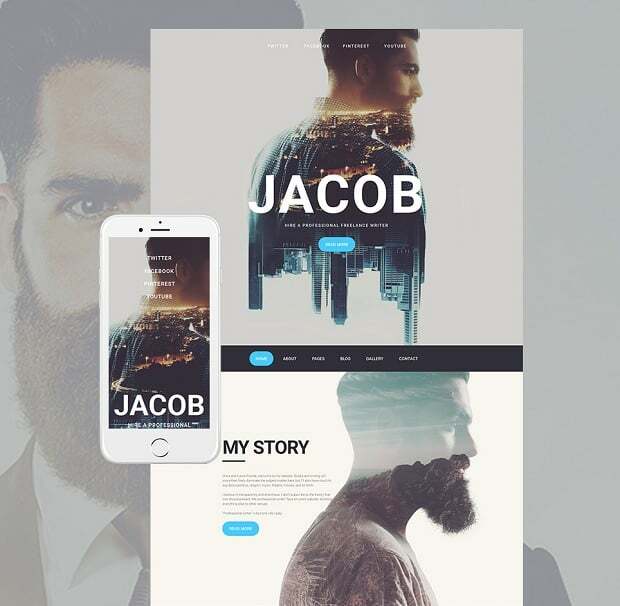 But before that, check out the difference between the Jared Leto fan website made with MotoCMS and…Jacob. We took one of the Moto 3 templates and stuffed it with original content. No special tricks. Just simple magic of drag & drop functionality. 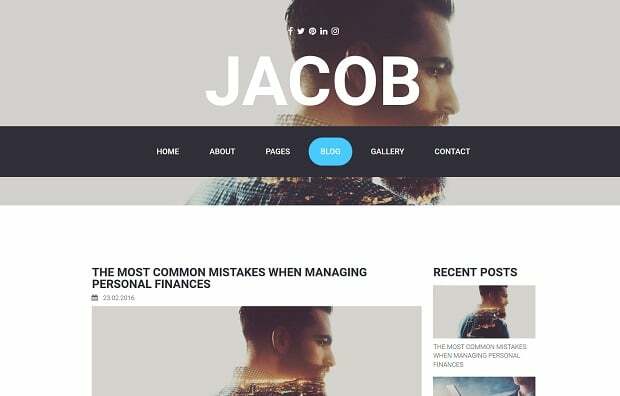 Jacob is the responsive template we picked for our future fan website. 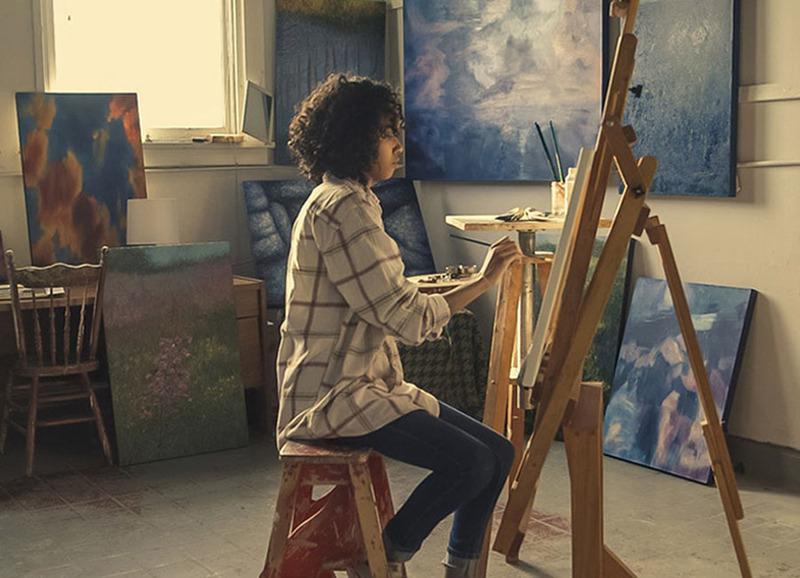 In fact, it is a ready-made online portfolio for an artist, but it fits perfectly to our purpose. 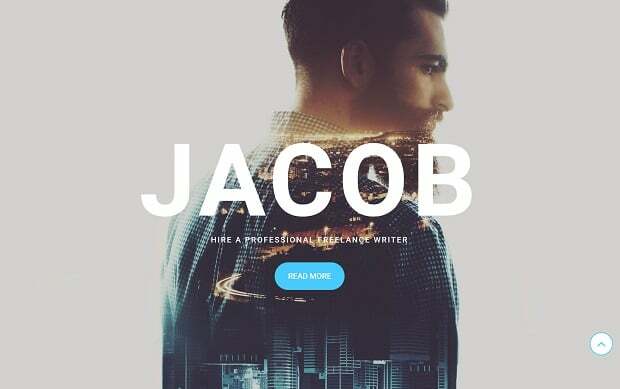 The first thing you should do if you have become interested in Jacob is launching this web theme for the free trial period. We did the same thing. 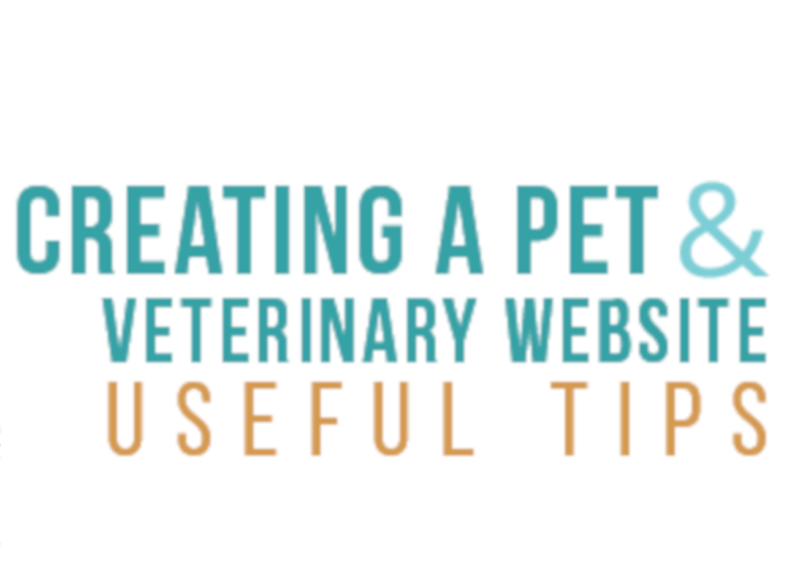 You see, you don’t even have to buy a template to get started with creating your fan website. We can only show you the door. You are the one that has to walk through it. The question is why not to try this for free? Here is what the working space looks like. 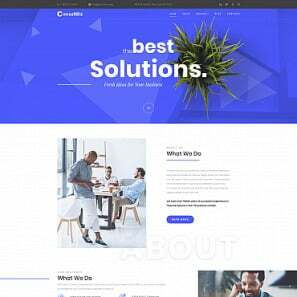 MotoCMS website creator combined an intuitive drag-and-drop interface, WYSIWYG editor, a wide range of tools to get your website customized with no coding and in a few hours. 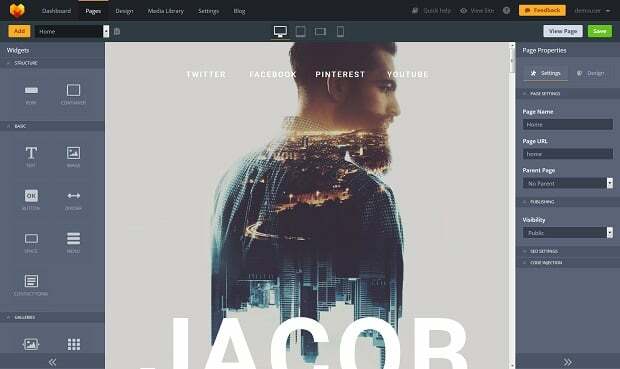 On the left side, there are widgets for editing your website structure, connect social media accounts, add content like audio, video, imagery etc. On the right side, you can change various properties of a particular page: name, URL, visibility, SEO and more. Jacob includes 10 original pages. Since we are going to create a fan community website, we picked and customized the most important of them: Home, Blog and Gallery. A home page must look spectacular, no matter what kind of a website you have. It welcomes your visitors, so you should come up with the design that would intrigue them from the first seconds of their visit. It was really sad to redesign such a beauty, but, as the saying goes, beauty demands sacrifice. On the other hand, design was the only thing we sacrificed. 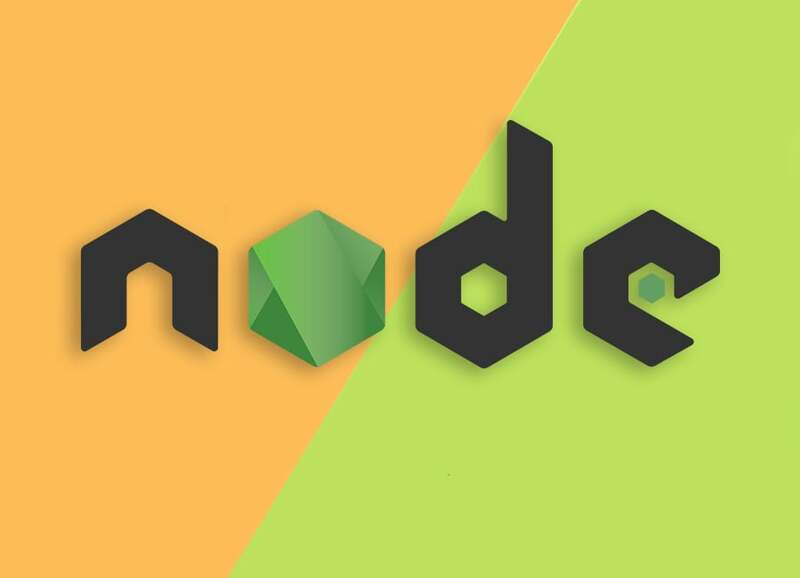 We changed coloration, backgounds, images, text and some other element. The layout of each page is mostly saved and may be different only because we got rid of the areas, leading to the pages we had dumped before. 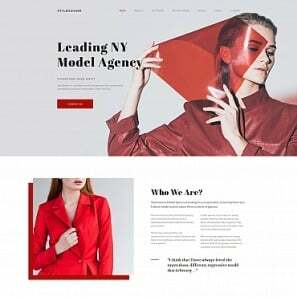 One more good feature of an original template that we saved in our fan website is parallax effect. It prettifies the whole design and makes scrolling much more comfortable. When creating your fansite, don’t binge parallaxing. 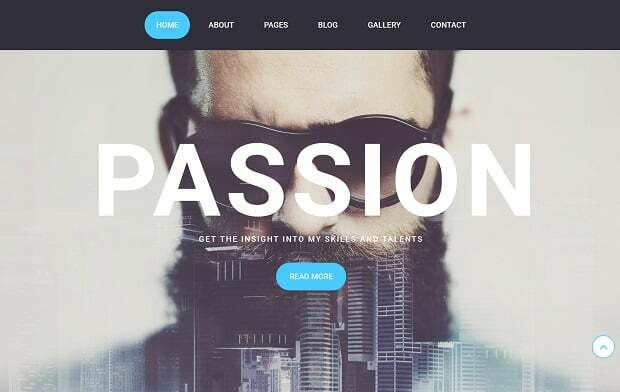 This effect is awesome, but it can easily overload your website. 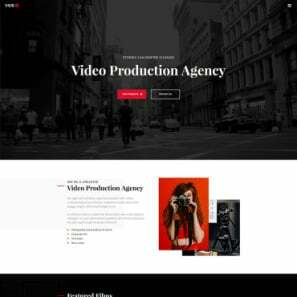 Creating our fan site, we decided to blend white minimalistic design of Jared offiсial website with the mixture of red and black colors. It seems to look great, don’t you think so? Today if you have a website and have no blog, you make a big mistake. You would barely find a better way for getting new traffic. Another good reason is that blogging motivates you to create more and more content. And who loves great content? Search engines like Google. For writing valuable content, you will increase your website rankings 100%. Not to mention that every fan website must have a fan blog no matter what. In our case, the trick was that we didn’t actually have to create a blog from scratch. Thanks to blog functionality, integrated to the admin panel from MotoCMS you get a ready-made blog at once. It requires only minimal customization. It is no secret that the gallery page was the most simple one to do. There is nothing to edit, except for the headline and the gallery itself. 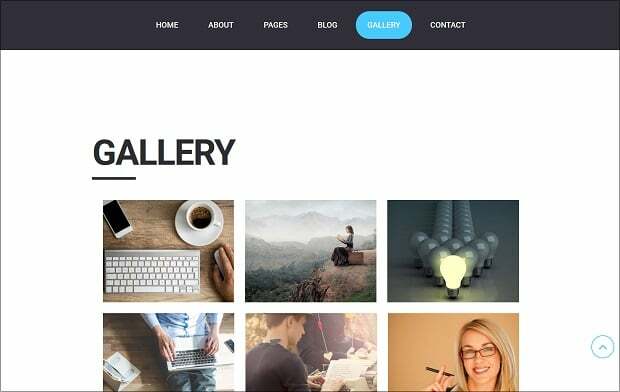 You can create your gallery with MotoCMS website creator in two twos, choosing between three options: Grid Gallery, Slider or Carousel. So in addition to what we have done before, we added also a few pics to our grid gallery. You can add images directly in the gallery properties or upload them beforehand via Media Library – a user-friendly file manager. 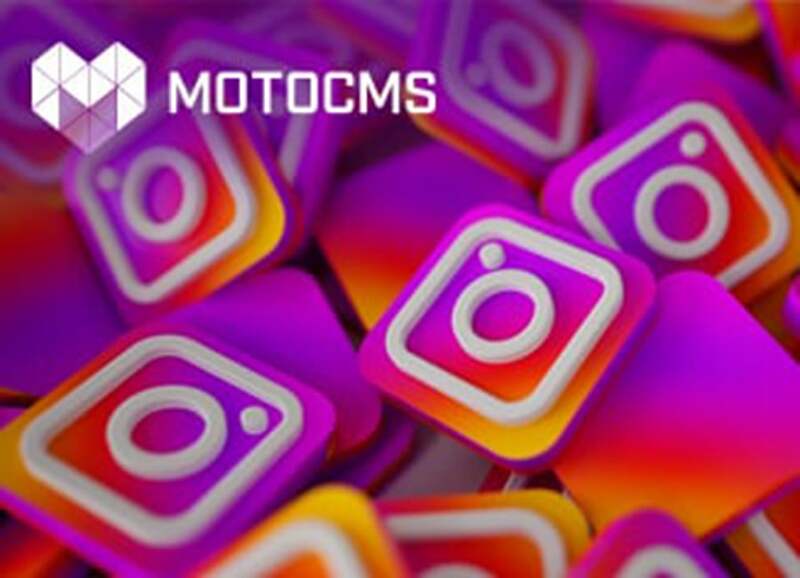 If you want to learn how to create a website with MotoCMS, you can do this yourself after watching the video below. It contains all necessary information that will help you to discover the basics of working with the admin panel. If you want to know every aspect of the website creation process with MotoCMS, you can also sign up for our 5-days email course. It is absolutely free of charge. For a personal advice, you are welcome to contact our professional customer support on our website. It is also free and available 24/7, even for demo users. Order a callback or write to live chat and our specialist will help you to pick a perfect template and provide you with all necessary information. To get started, pick your template, sign up for the 14-days trial period and start creating your site free of charge just right now. Thanks for coming. If you like our interpretation of a Jared Leto fan site, don’t be shy to share it in social media and subscribe to our blog. Till the next time!